Nearly half (49%) of European fire-safety equipment installers are unfamiliar with the latest fire and emergency lighting legislation, a study has revealed. According to a survey of European fire equipment installers by Hochiki Europe, more than two-thirds (67%) go to manufacturers to bridge their knowledge gap on this issue. 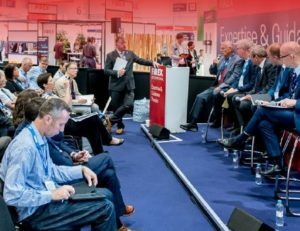 Sixty percent get their training from industry bodies and the same proportion of respondents turn to professional associations to learn about the latest legislation and best practice. “To think that nearly half of European installers we spoke to do not feel fully comfortable with current legislation is a shock,” said Paul Adams, deputy marketing manager at Hochiki Europe. “As manufacturers, we clearly need to step up and take responsibility for improving their understanding. Nearly two-fifths (39%) of those polled by Hochiki Europe confessed to having not received any fire or emergency lighting training in the last two years. Despite this 90% of installers felt that their clients would benefit from them receiving more training. Of those that had received training in the previous two years, three-quarters felt ‘confident’ or ‘very confident’ in their understanding of a wide range of fire-safety technology and their capacity to recommend and design an appropriate, effective fire-safety solution. When it came to delivering this service to different sectors and environments, 83% of installers felt equipped to specify and fit the optimum solution for public sector or leisure projects. Conversely, only 18% felt this confident about offshore environments – a key growth sector. “It’s not surprising that many installers across Europe are struggling to keep up with legislation when they may have not received any training in the last two years,” added Adams. “The results suggest that installers do understand and see the benefits of training on their ability to carry out projects effectively. It’s clear that we now have to come together as an industry to ensure that the correct training is being promoted and delivered across the board. One in Two European Fire Installers Unfamiliar With Latest Fire and Emergency Lighting Legislation Nearly two-fifths of those polled by Hochiki Europe also confessed to having not received any fire or emergency lighting training in the last two years. Lux Emergency Lighting Conference 2016: What did we Learn?